P1151 code solved? Wire #3 issues with TMH. Discussion in 'Modified 1995-2001 Explorers' started by celly, July 31, 2011. I've been chasing down the cause of an elusive P1151 code for a month or so. It threw a code after a slight miss about 6 weeks ago. I reset it with my Scangauge and all was well. Then we did a road trip out to the mountains about a month ago and got multiple codes, all the same. P1151 of course. Reset it multiple times. Chalked it up to bad gas as the slight misses which preceded the code disappeared when I got back to town and filled up at a different station. All was well until Friday night. I went to a coin op, pressure wash. They have an underbody wash as you proceed in. I pulled out and truck ran a bit rough and then threw a code. My IAC and MAF are fine. Sparkplug wires "seemed" fine. I checked wire #3 as it's given me grief in the past (real close to one of the Torque Monster header tubes). Looked fine so I reinstalled it. I was beginning to think bad O2 sensor since it would take the brunt of the under car wash. I also had a rough idle after warmed up and has seen others who needed a new sensor with those symptoms. This morning I fired her up. Now firing on 7 cylinders and full backfire. I went back to #3 wire and it broke when I pulled it off. Boot was spongy as hell. Seen that before. Magnecor and Aurora wires (I have the latter now) get spongy after prolonged exposure to excess heat. I have socks on all 8 wires, and had this wire especially made to steer clear of the headers. Good thing I had a spare made last year when I last replaced the wire for the same thing. When wire boot starts to break down, moisture causes grief. Now I know to check that wire more often and keep another spare around. I'm going to talk to Aurora to see if they have any more ideas about "beating the heat". All other 7 are in great shape, but #3 gives me grief obviously. I've seen other people report the same problem. Anyhow, she's running like a top now and all ready for road tripping to BC next weekend. Just wanted this in the archives in case other TMH owners come across the same issue. Thanks for the heads up. I have the Aurora wires now and TMH on the way. I already put boots on all eight wire ends in preparation for the headers. Take extra time on # 3. The Aurora wires are great, but I think the real issue is the socks themselves. They actually bring the whole # 3 "assembly" closer to the header. 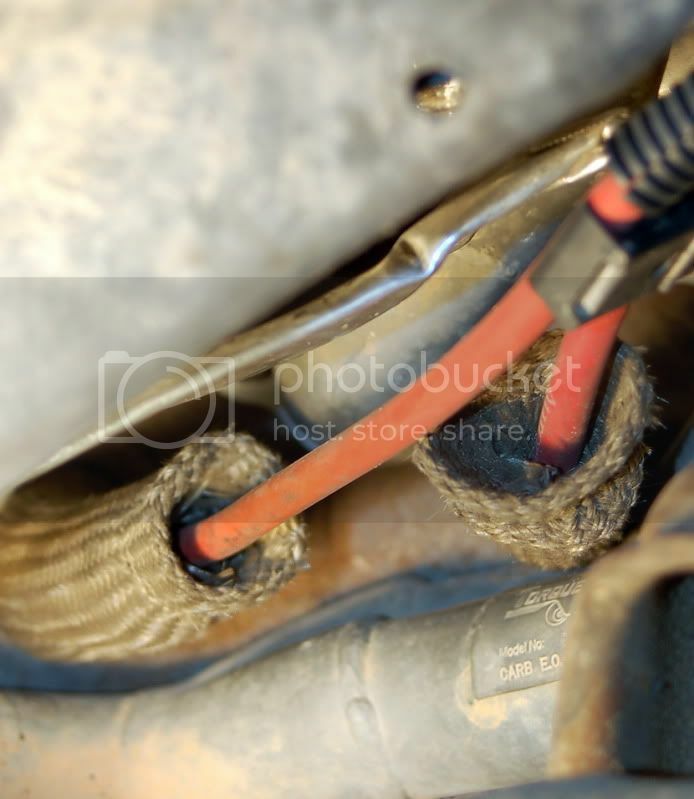 Those socks can actually heat up if placed right against the header tube, making the plug boot hotter than if there were no boot at all. I scored a special wire from Aurora for that plug where they made the wire with a straight boot. It's narrower than the standard boot as well. I'm tempted to run it without a sock as it seems to have better clearance than if a sock is placed on it. Right now, I've got a combination of wire loom and zip ties in place that keep it away from the header tube, but it tends to shift, hence why I think I only got 11 months out of the last wire. I plan to touch base with Aurora shortly to see if they can rig up some sort of heat resistant boot for me that isn't much "thicker" than an original. They offer great advice at Aurora. Very personalized. I have two other wires with 90 degree bends (can't remember which plugs those are on). They work great. Good luck with your install. You'll love the headers, and wires. Thanks for the reminder to contact Aurora tonight. Too much to do before Saturday AM road trip. Will keep you posted. Here are some pics I plan to send to Aurora. It was a tricky place to get good photos, and the clearance is slightly better than it shows in the photos for the most part. My theory is that because the sock is closer to the header, it heats up and causes more harm than good possibly. I'm thinking of running it without a sock, but want to be certain the heat generated by the headers don't cause the boot to break down worse than it does with the sock on. I spent a lot of time tonight with zip ties and an extra wire loom and managed to tie the whole assembly (with sock) further away from the header. I'm off to email Aurora. They often reply at odd hours so I might have an answer sooner than later. Thanks for the heads up...How much for the Aurora wires, or specifically #3 if it can be purchased alone. I bought the Taylors and am not against upgrading. Unfortunately, just buying one wire isn't a great deal because of freight (because of the size of the box they ship in). Freight for 1 wire tends to be as much as 8. I scored two wires last time and picked them up. I was on business in Vancouver so I flew into Abbotsford (which is just outside of Vancouver). Aurora is in Abbotsford. I'm sure you could talk them into shipping one in a passed envelope or something. I think it was $18-$20 per wire if I'm not mistaken. I still haven't heard back. I sense the guy I always deal with (Gary) is on vacation or something. I heard from Gary at Aurora just before I left on a road trip (on vacation in BC currently). Sort of a change of page. He recommended I use heat socks sparingly, so I ditched them all. I use 5 wires with a standard issue bend. Two have a 90 degree bend and one straight one for wire # 3. I'm going to order some wires when I get home. I drove 500 miles with no socks. So far, so good. Still dealing with the occasional P1151 so unlikely it was the wires that triggered it at the end of the day (though the boot on #3 needed replacing). I also replaced the offending O2 sensor and it didn't help the cause. Truck is 12 years old, so it didn't hurt. Interesting that the boots make it worse. Just started pulling my old manifolds off. Guess I will find out tomorrow how the wires will work out. The socks seem to make it worse only in a few cases (in my case). 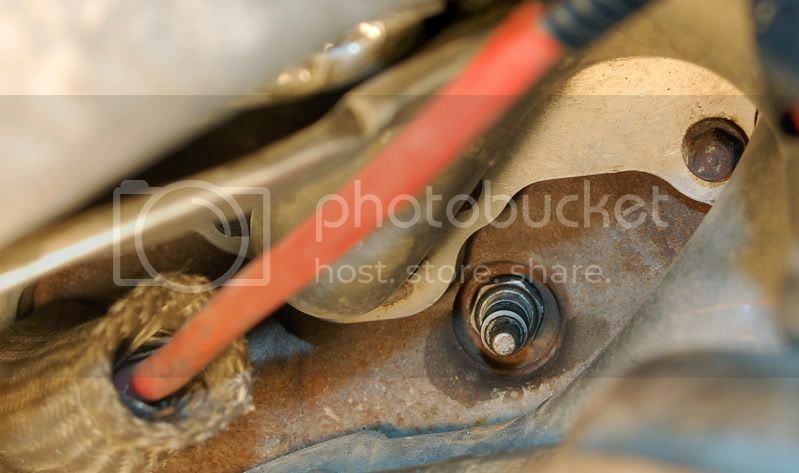 Everyone's install is different with these headers, so go with what works best for you. I'm going to inspect all 8 wires later today to make sure they're fit to make the 500 mile journey home on Monday. 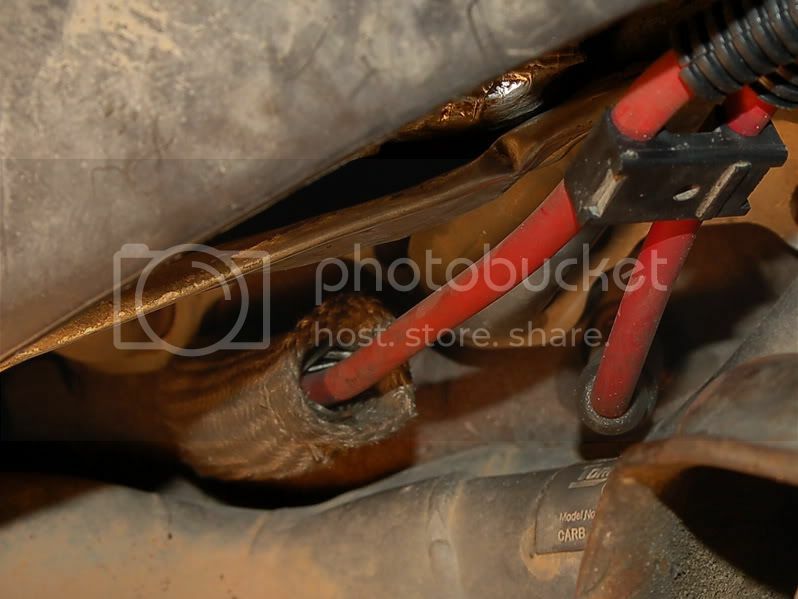 Man, I had the best luck with stock wires with the metal boot thingy's , using the socks only on a few wires. serious. back and forth to colorado , up the hills and down with no problems. I started tearing mine down last night, and the socks are discolored from heat even with the stock manifolds. I checked my wires two days ago and #4 (an old Magnecor I'm using in place of an Aurora for now) showed signs of heat strain on the boot. Sock went back on. I think I FINALLY solved my P1151 code. It wasn't plug related either. First things first, I now have the heat socks back on with 6 of the 8 wires. The only two remaining (3 & 4) have (drumroll please), OEM Motorcraft wires with the metal heatshields. Thanks Jon for giving me that idea. I think I'll some day do those ceramic boots, but for now the OEM wires and heat shields are working on those two wires. I had tried everything to solve the P1151 code. I've cleaned both the IAC and MAF numerous times, checked for leaks and nothing obvious. I also swapped out O2 sensors not once but twice (original OEM sensor to NGK sensor to a brand new OEM sensor). This weekend I was starting to lose patience (keep in mind I've been chasing this down since July) and checked diligently for vacuum leaks. I was starting to think one of the EGR area hoses may be the culprits, but those were all spotless and in place. I then took my time to check all the PCV hoses and they were all fine. I checked the PCV grommet and it was fine too. I put the PCV back in place and made sure it was seated properly. I then checked the breather tube that comes from the oil filler tube and connects to the air intake. While this doesn't seem like a strong vacuum source, I fiddled with it for a while and made sure it was nice and snug on both ends. I then ran a full can of "Seafoam Spray" through the throttle body while engine running. Not much smoke. My truck is not chugging at intersections anymore. I haven't seen a CEL for over 2 days now and most importantly, my mileage is up 3 mpg according to the message center. I don't get that "rich smell" in my garage anymore either. Around town I was getting between 11-12 mpg with the codes. Now I'm between 14-15 and this includes some pretty spirited driving. I'm hoping I've finally solved the P1151 issue. I've kept a close eye on the wires since I put the Motorcrafts on 3 and 4 and no "heat stress" on any of the boots. I'm not holding my breath that it's resolved, but my truck is running the best it's ever run and especially since I got the headers two years ago. Hope you got it this time. Just found my burnt wire today. Wasn't even because of the headers. Not sure what # it is, but it's the rear pass one. I tried to route it on top of the engine like the factory, and that's where it burned through. I did my own routing this time, and hopefully it will do better. I ditched all the boot protectors when you started this thread, and so far the only burn through was the one on top of the engine. I went back to the protectors on 6 of the 8 wires. I actually had a bit of heat stress on one of the other wires (#2 I think) that the sock would have prevented from happening. I had the slightest miss because of it that got nasty when it got wet. I found a small break in the boot as a result that leaked water into the terminal. I can't fit the socks over the two OEM wires on #3 and #4, but they seem to be holding out fairly well. Still running the Auroras in various configurations on the other 6. It's been 5 days since I last had a P1151. Car is driving smooth as silk and mileage has been exemplary. Probably the best city mileage I've had since I got the truck 6 years ago. I also wiped all the carbon buildup from my Exhaust tip and the carbon hasn't come back. Did you use stock routing our get creative like me? I've actually toasted a few Motorcraft wires in this two year "experiment".